Dil Se Strings is a classical ensemble that can wonderfully play some of the greatest classical compositions around, ranging from conventional classics to Bollywood songs from yesteryear right through to up-tempo bhangra numbers. 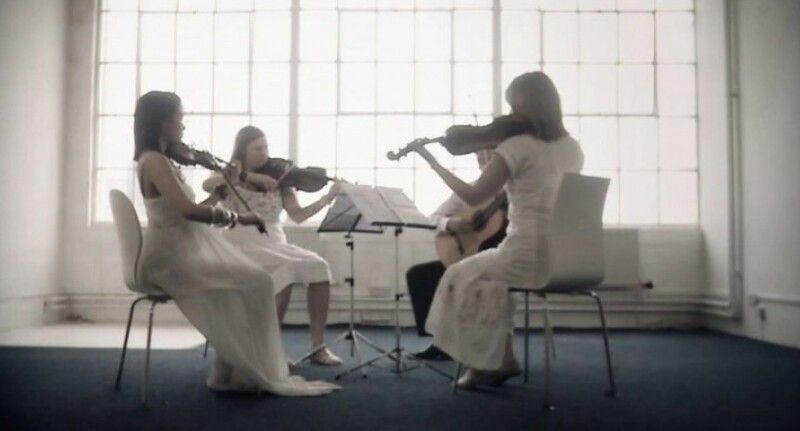 There is nothing that quite says opulence, class and luxury like a classical string quartet which is why this group of musicians available to book through Kudos Music are ideal for the classy wedding where entertainment is one of the most important parts of the event. Dil Se Strings are a group of four musicians specialising in Bollywood music. With their refined talent and professionalism they can help set the mood at any romantic/corporate event or wedding. Playing soft, beautiful renditions of the latest in Bollywood music as well as some of those all time classics to get everyone in a calm and happy mood, they will ensure that all of your guests listen to them with a smile on their face leaving them with mounds of wonderful memories from your special day. Aside from Bollywood, the group have original musical classics in their repertoire including compositions from Bach, Strauss, Gershwin and Bernstein. The fact that their library ranges from there all the way to the likes of RD Burman and AR Rahman is what makes this group truly unique and original making them one of the stand out parts of your event. What is even greater is that for the Punjabi crowd, the string quartet are able to play a little bit of bhangra via their strings, including the likes of Jazzy B and Malkit Singh. Now we bet that's something you have never heard before! To add to their unforgettable nature is the fact that although they specialise in Indian/South Asian music, not one of them is from Indian or South Asian heritage! This all adds to their intrigue which will excite and amaze your guests. The string quartet is made up of the expressive sound of two violins, an English 19th century viola and a deep, rich cello, performing pure, quality music for up to 2 hours at a time allowing yourself and your guests to maximise the sounds you will be hearing. If you and your partner share a special song that you would like the quartet to play, this can also be arranged with prior notice in order for the group to prepare it especially for you. Dil Se Strings will bring a romantic, unique and special ambience to your wedding, event or other occasion and will help to create memories for years to come. Contact us today to discuss how you can book this fantastic foursome. Why not book a Kudos Bollywood String Quartet for your wedding or event today! Contact the sales team to see how we can find the perfect entertainment for you.